You must know, how popular Windows 7 operating system is. First of all, people could not leave Windows XP, Windows 7 could not leave many. But everything is ending, and the official extended support of Windows 7 is going to end on January 14, 2020! The day will not be seen until you see it. That means there will be no time for 1 year, in which Windows 7 Ultimate will become Abandonware (though up to 203 Paid Support is available). So now the question of million billion is: Is it still safe to use Windows 7? If you answer all the words, "No! It's good because of refraining from using it! "Though its support can be used until the end, if you want to answer in a nutshell," No! " Now many will say, till now this is the best operating system, you still feel more comfortable using it, then why am I talking about it? Well, the whole article is about to discuss these topics. Let's see why Windows 7 Bad Idea, why should start using Windows 10, and how Windows support cycles work! Any Windows version of the Microsoft Windows operating system is basically getting 10 years of support. The first 5 years of mainstream support; Where feature updates, design updates, UI updates, security updates, bug fixes, etc. are provided. And to be honest, Microsoft provides very good mainstream support, and it actively handles it. They provide extended support over the last 5 years of mainstream support. Where only bug fixes and security updates are provided. No new features or designs are upgraded. Windows 7's mainstream support ends in 2015 - as it is an extremely popular operating system, so its mainstream support was slightly increased. However, the extended support for January 2020 is going to end. And just a few months later, using Windows 7 will surely be a lot of trouble. I will never recapture any operating system that has been compromised with security updates and bug fixes. 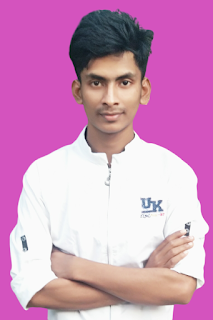 It is the hacker who wants to make such a computer a hacker target and run the malicious process which is what it wants. Such an operating system is similar to a hacker. It's safe to use Windows 7 yet, but it will not be more than a few months later. Right after the end of its support, the hackers will be waiting to find bugs and security vulnerabilities. Since many users are still using Windows 7 and of course after the end of support, so hackers can become Windows 7 dream operating system. The story does not end here, though its Extended Support is being discontinued from 2020, Microsoft will offer paid Extended Support for three more years. This means that security updates will be released up to a minimum of 2023, but if you do not get extra money you can not download it and buy it. Although there are many reasons behind this extra time. 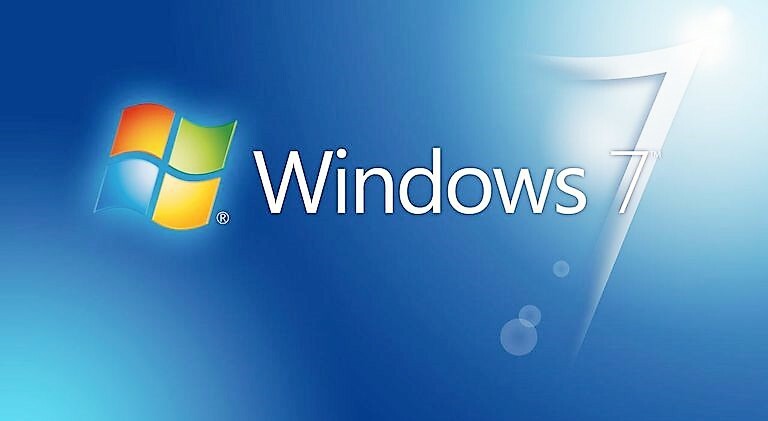 Many companies still use Windows 7, all their software or activities are set accordingly. You may be able to upgrade the home computer to a few different operating systems, but it is not the same as for the companies. There are many computers in their company, they are time-consuming to upgrade them. Downtime in business means losing a lot of money. Besides, upgrading the new operating system will provide new training to the employees. Yes, you and I might think it was a matter again? All the operating systems of Windows are almost the same, one can use another comfort if you use it. But there are many people who have memorized the computer, remembering "My PC" instead of "This PC" in front of them all the. There is also much software that may not work properly on the new operating system. Maybe the software can be programmed in a very poor way or the primitive era software that is not suitable for the new operating system. If you do not use software, then the company's loss! So, considering this, Windows 7 will be given additional support for three more years. But this 3-year extended support is not cheap at all, according to which Windows Edition you are using, you have to pay double money every year. For example, for Windows 7 Pro, the first year will be 50 dollars, 100 dollars in the second year and 200 dollars in the third year to pay for Extended Security updates. In addition to the Windows 7 Enterprise, the first year is 25 dollars, the second year is 50 dollars, and the third year is 100 dollars. Now there is no other computer in a company, and this price, but per capita computer - can understand how expensive it is, However, Microsoft has kept a road open so that companies can upgrade to new operating systems even when it takes some time. During this time they can get updates on the old operating system. You will say, "Hey brother, I've started using Windows 10 since 2015" - Still many people use Windows 7? - Yes, yet a lot more users use Windows 7. According to Statcounter.com, an online website still uses ~ 35% of the total internet user yet. They actually collect data from web browsers, using any operating system. Accordingly, this data has been created. According to their analyzed data, ~ 53% of the total Internet user is using Windows 10. So you can understand that almost 7 percent of Windows 7 users are still full Internet traffic. Just 10% of the users were upgraded to Windows 10 from Windows 7 last year. It is understandable, after the Windows 7 support is off, this third part of the user will go through more security risks, it is sure that hackers will get the chance to find the vulnerability. Long Story Short - If you are a home user, I have not seen any reason why I did not upgrade to Windows 10. Windows 10 is really awesome, new features are inklood every 6 months, regular security updates and other updates are provided. Besides, if you are a genuine Windows 7 user, then you can still officially upgrade to Windows 10. Although Microsoft did not say it, they closed it. But I learned from many tech articles, it still works. If you download the Microsoft Windows 10 installation media tool from this link and choose "Upgrade this PC Now" when installing Windows 10 on your old operating system, you can upgrade to Windows 10 completely. Besides, you can check all the legal medium for using Windows 10 free. I do not know how far, these systems will work and you can upgrade to free Windows 10, but as long as the button is working, you must upgrade your frames. If you are using the old system, now you do not want to buy a new computer, buy a new computer after 1 or two years, in that case, you can receive paid security of Windows 7 by paying 50 dollars, then you must return to Windows 10. Because if you want to stay for 3 years, it will cost around 350 dollars. Microsoft also wants you to use their new operating system because they have the best benefits. As long as the user uses Windows 10, the software developer will develop their new software for Windows 10. This is Microsoft's profit at the end of the day. So maybe they're still offering free upgrades. And since just a few months later, using Windows 7 is costly and does not cost money much, it will be better if you start Windows 10. Hopefully, I've been able to clean up today's topic, you got a rough idea of why Windows 7 is better than giving up!